The price of the iJoy Maxo 315w continues to drop. Efun is now selling it for only $9.99! 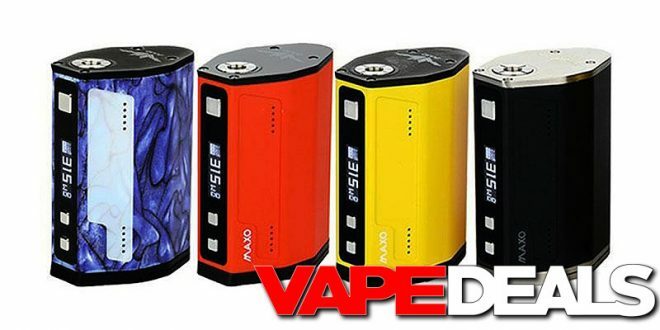 That’s a 315w, quad-18650 box mod for about 10 bucks…you gotta be kidding me! Even if you’re just looking for a backup/beater device, this deal is probably worth jumping on. And if you order today, you could take advantage of their FREE shipping promo too (orders over $39, ends 11/2/18). Please note: this is technically a pre-sale, but they expect to have them in stock within 4 – 5 days.